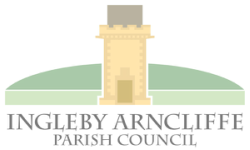 Ingleby Arncliffe Parish Council, like all Parish and Town Councils in England, represents the first tier of local government - the one closest and most accessible to the electors. The Council is made up of 5 volunteer Councillors supported by a paid, part time clerk. The Councillors represent all the electors of Ingleby Arncliffe and have to stand for election every four years. The Parish Council is not a political body and Councillors do not represent any political party when working for the Parish Council. To ensure that Ingleby Arncliffe continues to be a safe and enjoyable place to live, work and play, now and in the future. The Parish Council also has a number of objectives and some very important duties. To engage, whenever possible, with residents, to understand their needs and to explain how the Council will address these needs within the resources and powers available. To provide high quality, cost effective relevant services and to enable, assist and encourage other organisations and agencies to provide services within the parish. To encourage and promote social and community values in the village by working in cooperation and supporting, where practicable, local organisations and groups. To develop and maintain Ingleby Arncliffe as a peaceful and attractive environment by actively pursuing environmental, recreational, leisure, wildlife and other policies. To act as an agent of management, development and service provision that represents the entire parish community including active involvement in reviewing all planning, service and infra-structure developments. To conform to the requirements of the Localism Act 2011 and other relevant legislation. To act in accordance with the Code of Conduct adopted by the Parish Council. To hold regular meetings of the Parish Council, all of which will be open to the public. To record the minutes of the Council meetings and make them freely available. Our current members have either stood for election or have been asked to join to enable us to make decisions for which we need to be quorate. All meetings start at 7:00pm and are held in the Village Hall. Parish residents are entitled to attend the meetings. Agendas advertising the date are posted in the village notice-boards a week before the meeting, available on this website and are also circulated via email to people on a circulation list. Remember items for inclusion on the Agenda need to be with the Parish Clerk 2 weeks in advance. There are many more items that you need to know about such as our finances, our asset register and insurance certificates etc. Please contact any of the Parish Council for information regarding this page.